Freederm gel contains the active ingredient 4% Nicotinamide w/w (vitamin B complex). Clinically proven to reduce the redness and inflammation of spots and pimples. Clear, fragrance free, anti-inflammatory gel. 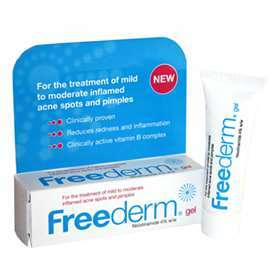 Part of the Freederm Range.